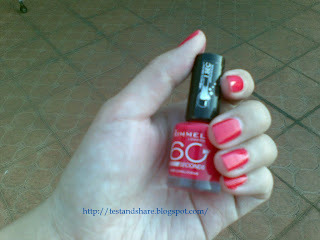 Recently,I 've been chosen by YUBERACTIVE.com to be one of the reviewer for RIMMEL 60 Seconds Flash Nail Polish #430 =) . 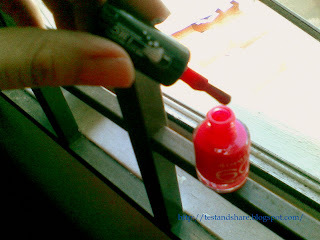 i receive the nail polish by today 12 aug 2011. i cant wait to try it after reach home. PROS: i found this nail polish really useful--quicky dry , easy to apply with a smooth brush , and i found this nail polish colour quite sharp even though i havent put on top coat .and the texture not too sticky.i am kinda satisfied with this nail polish . 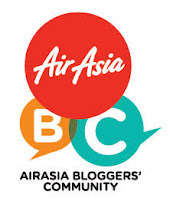 Cons: Storage over 2mth, the colour quality will change. I think I won’t be buying this if the color quality changes after 2 months :( Thanks for the review!